Since 1932, the measure of damages recoverable for injury to personal property was clear: if the property was damaged, the plaintiff was entitled to the difference in market value or cost of repair plus "loss of use" whereas if the property was destroyed, the plaintiff was entitled to the market value at the time of the loss but was not entitled to "loss of use." On January 8, 2016, the Texas Supreme Court changed the measure of damages in J&D Towing, LLC v. American Alternative Insurance Corp., Cause No 14-0574(Tex. January 8, 2016). In what amounts to a unanimous decision, the Texas Supreme Court held that "loss of use" damages are recoverable where personal property is destroyed. In J&D, the Plaintiff was in the business of repossessing vehicles and owned a single tow truck. As he was towing a vehicle, he was involved in an accident which totaled the tow truck. From December 29, 2011, the date of the accident until February 29, 2012, the Plaintiff attempted to settle with the tortfeasor's insurance company. After settling for the policy limits, the Plaintiff then sued his uninsured/underinsured motorist carrier to recover "loss of use" damages. The UM carrier declined the claim on the basis that "loss of use" was not recoverable if the property was totally destroyed. At trial, the trial court rejected the carrier's argument and submitted the issue of "loss of use" for the period of December 29, 2011 to February 29, 2012 to the jury which returned a verdict in favor of the Plaintiff. 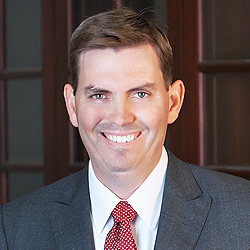 The Court of Appeals reversed the award by concluding that "loss of use" damages were not recoverable in connection with the total destruction of personal property. The Texas Supreme Court reversed the Court of Appeals and reinstated the jury award. In reaching its decision, the Court first noted that the purpose of damages was to provide a fair, reasonable and proper compensation for the injury inflicted. The Court then engaged in a historical review of the measure of damages for both partial and total destruction of personal property. The Court noted that although "loss of use" damages were recoverable in partial destruction cases, they were not historical available in total destruction cases. The Court acknowledged that the most common rationale for the distinction was the notion that in total destruction cases, the measure of damages amounted to a purchase of the property by the defendant and that the "purchase" occurred at the time of the loss. Therefore the Plaintiff had no legal right to the "use" of the property after the accident. The Court then focused on the recent trend which allows such recovery. The Court concluded that the recent trend fell more in line with the purpose of damages and that "loss of use" was recoverable in total destruction cases. The Court held that a plaintiff was entitled to recover "loss of use" for the period reasonably necessary to obtain replacement property. The Court did not define what a "period reasonably necessary to obtain replacement property" was but, in rendering judgment for J&D, found in this case that 2 months was a reasonable period. The issue of "reasonable time" will be for the jury to decide.